The 1973 oil crisis brought a harsh reality to light for American motorists: fuel was about to become a lot more expensive. The solution? Make cars that use less, without sacrificing too much power. And when crisis repeated itself later that decade, Detroit was ready. That’s where the Ford AOD transmission jumps into the picture. 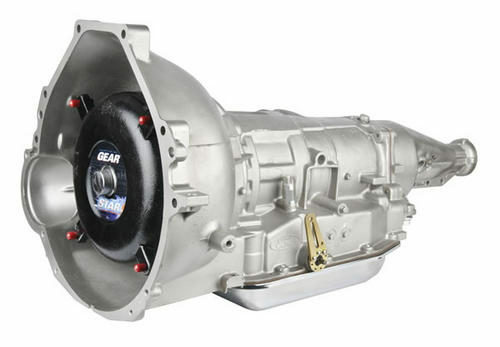 Here at Gearstar, we take the legacy of this classic AOD transmission and rework it for modern performance. 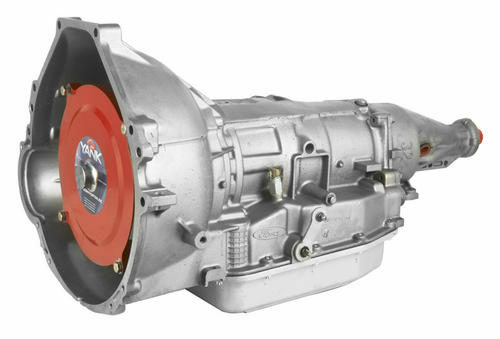 Made in a fresh-cast aluminum case with an overdrive unit and their reliable Ravigneaux planetary gearset, Ford’s automatic overdrive transmissions kick-started in 1980, and were soon found in millions of Ford vehicles, from Broncos to Thunderbirds. The first among four-drive automatic transmissions with an overdrive unit, Ford’s new transmission was well-received, but flawed. Like most earlyinnovative designs, it had some kinks that needed to be worked out: parts that required replacing, oversights that led to snapped input shafts and burnt out clutch packs. First designed in the early 60s when Ford began anticipating the need for more economical transmissions and simple drivability, AOD transmission production continued for over a decade until 1993. Afterwards, it was replaced by its electronic cousin, the AODE transmission, in ‘94. Since then, most modern-day transmissions are automatic and require overdrive – but there’s still a lot that this thing can do with a little love and care. 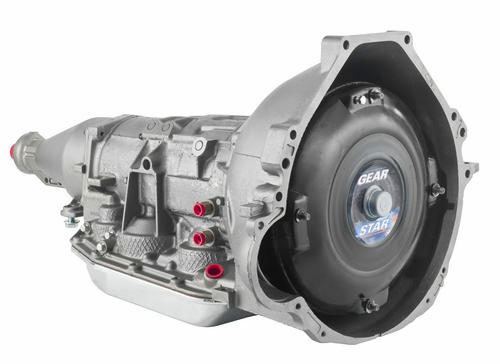 Here at Gearstar, we take the Ford AOD and turn it into a performance workhorse. Built mostly for small block engines, our AOD transmissions aren’t just top-of-the-line; they’re built and assembled with real care and a love for what we do. 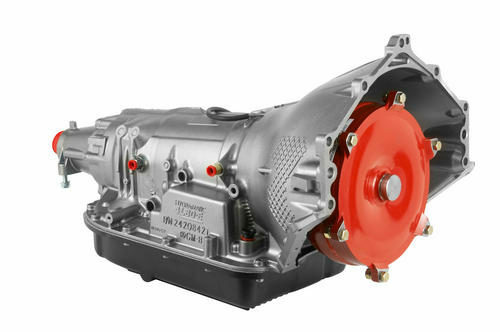 The AOD first hit the market as the premiere domestic automatic overdrive transmission, with four speeds. What that meant was that it allowed the engine to operate at a lower engine speed to increase fuel efficiency and reduce parts wear. Other manufacturers such as GM quickly followed suit. The first few years were rocky for the new transmission, as the overdrive unit was prone to failure and the lack of a second gear meant that, for some enthusiasts, using the AOD proved clunky and required copious amounts of box banging between drive and first gear to access second. But aftermarket modifications and racing enthusiasts helped Ford improve on their old model, replacing the build for their overdrive units, and improving the transmission’s longevity through partial redesigns (including a wider reverse drum and overdrive band to increase friction, and thus, holding power) leading up to the release of the 4R7XX and AODE transmissions. These are the AOD’s successors. 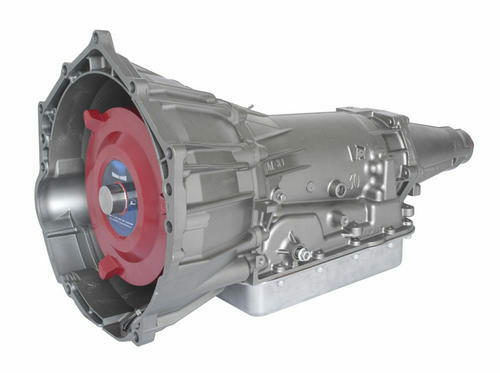 Still, if you know what you’re doing – and we certainly do – then the AOD can be an incredibly sturdy and reliable automatic transmission geared towards both efficiency and performance.When it first came out, the AOD had little to set itself apart from previous Ford transmissions, particularly the FMX. What it did have going for it, however, was an overdrive unit and a brand-new aluminum case, shaving quite a bit of weight off the transmission. However, a tight band meant that the AOD’s durability was subpar. Upgrading the AOD meant taking its case, and gearset, and changing just about everything else. Our Ford AODs are retrofit transmissions remade with aftermarket parts to fit any performance enthusiast’s needs. Ford’s AOD has a few weaknesses outside of a clunky overdrive unit that fails too often. 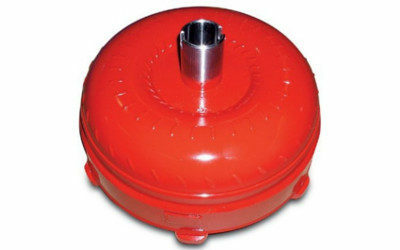 Its third gear lacks additional steels and clutches. Its input shaft snaps under too much power. The shift pattern is a pain, as getting to second gear involves a little, well, getting used to. Shifting into overdrive at full throttle will completely waste the clutch pack, and the stock cooler leaves far too much to be desired by anyone looking to wring some real power out of their ride. 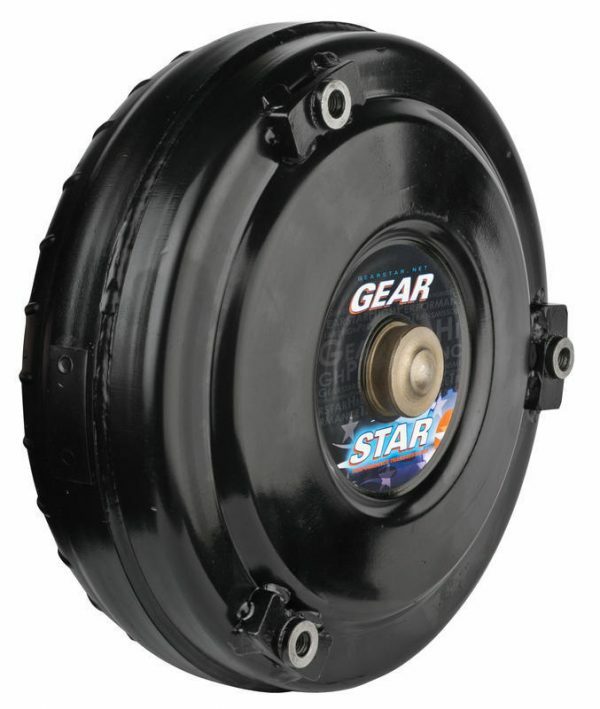 So, we do what we do best – we make it better, and create a transmission worthy of the Gearstar name and brand. For example: our level 4 big block-compatible AOD comes with a master overhaul kit with alto hardened kolene steels, a brand new reverse band, carbon fiber overdrive band, high-capacity 3-plate intermediate clutch, updated overdrive servo pins and piston, a 30,000 GVW cooler, and much more – including a much wider reverse drum with a mechanical diode. All-in-all, that’s 700 hp with up to 600 ft/lbs torque. And per request, we’ll go even further in our modifications. That’s just an example of one of our AOD transmissions. At Gearstar, we’ve got three separate builds, each one fine-tuned to make the most out of the old AOD and bring it into the modern era of performance. While both the 4R7XX and AODE are fine transmissions as they are, they’re both electronically-controlled – computer parts and circuitry play a role in the functions of these transmissions, making them totally different to the mechanically-modulated AOD and its old-school tech. All our AOD transmissions share the same gear ratios: 2.40:1 on the first gear, 1.47:1 on the second, 1:1 on third and 0.67:1 on fourth. Fuel efficiency, worth the bang for your buck. Performance, tuned specifically to keep you satisfied. 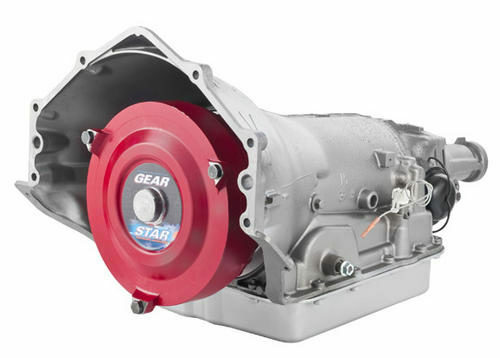 World-class care and passion for power – qualities that Gearstar brings into every transmission. If these are the qualities you’re looking for, our line of performance AOD transmissions are just the right fit. We build more than just transmissions – we build “horsepower transferring systems”. Gearstar understands that there’s more to a car than transportation: pushing machinery to its brink and wringing the maximum potential out of a build requires passion, and that’s why we employ only the best of the best to design and build our custom performance transmissions. We offer level 2, 3 and 4 AOD transmissions, custom built by one of our master technicians from start to finish with the same passion they’d have for their own personal rides. Each one comes equipped with an over 20,000 GVW cooler, and a variety of customizations geared towards high performance driving. None of our products make it out of the facility without rigorous testing, and each one of our transmissions is tested with a converter for the equivalent of 100 miles to ensure perfect operating conditions.